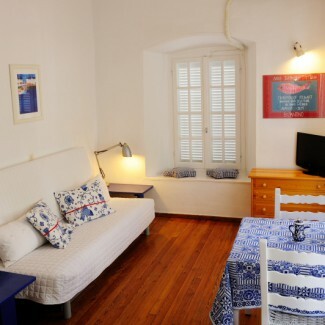 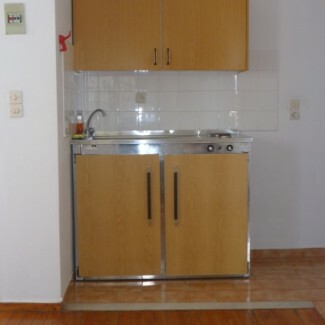 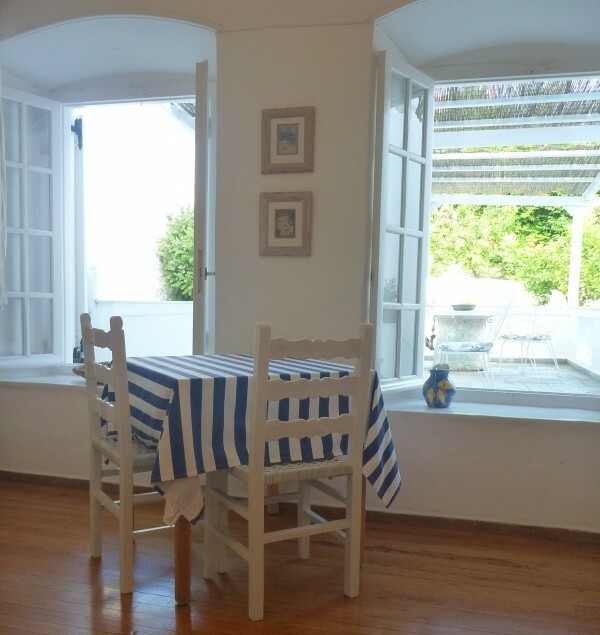 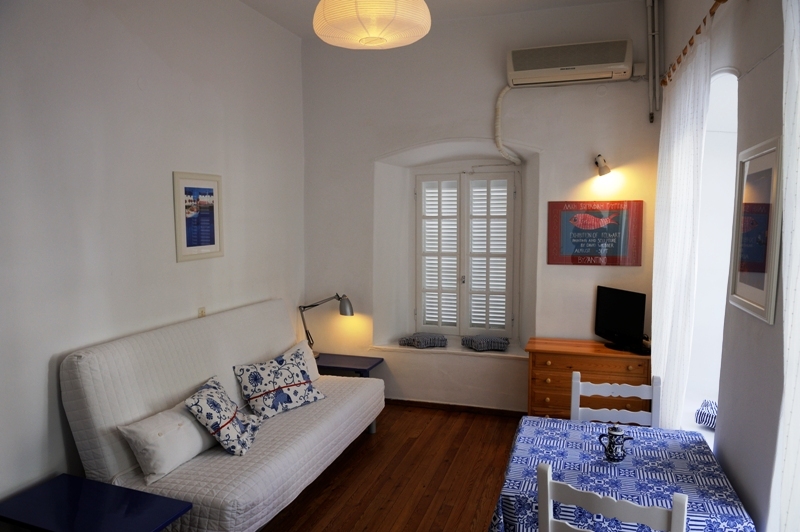 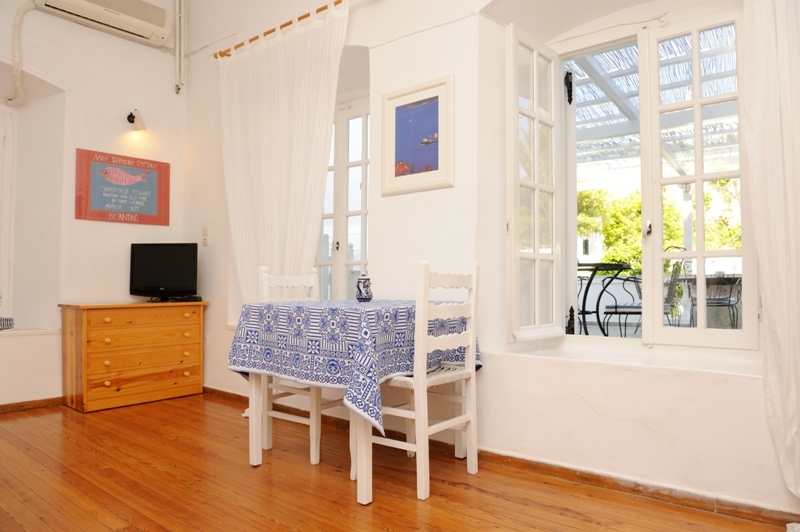 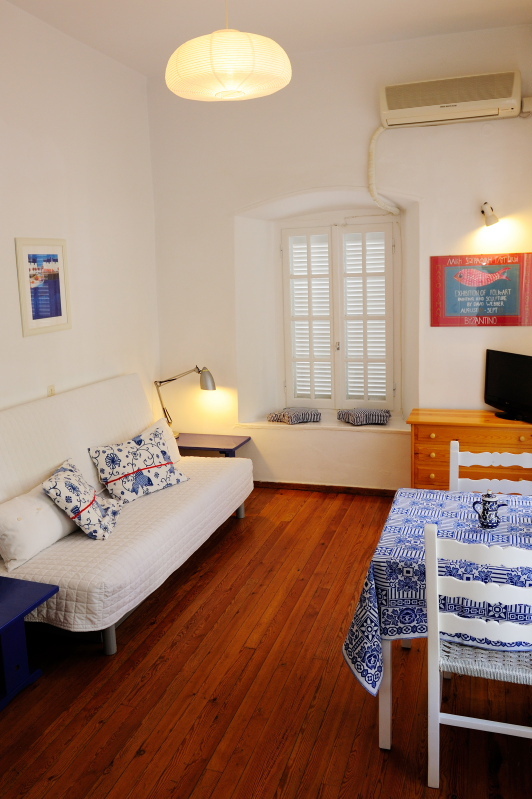 Apartment Two is part of the original house and has traditional wooden floors throughout. 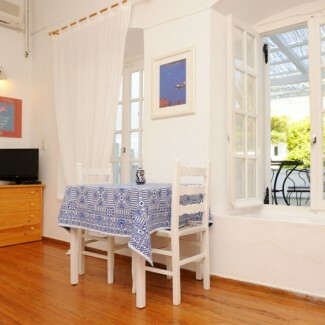 It has a living/kitchen area with simple cooking facilities and very beautiful original windows on two sides looking on to the veranda and garden. 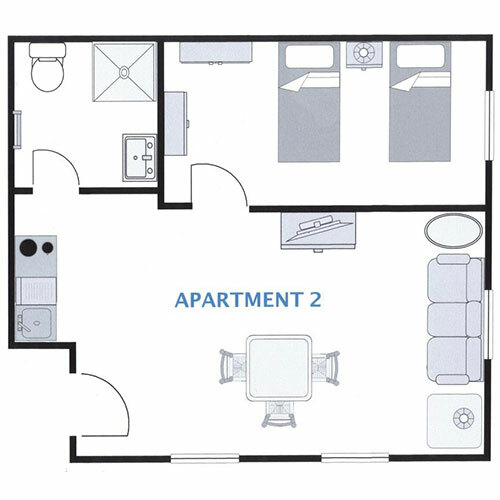 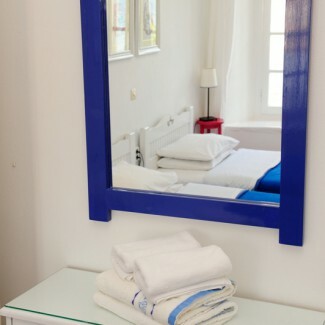 The bathroom runs off the living room as does the bedroom which is furnished with two single beds which can become a double very easily. 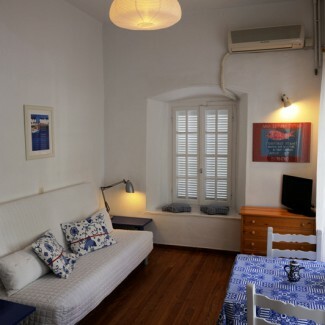 The sofa in the living room is roomy, comfortable and converts to a bed easily. 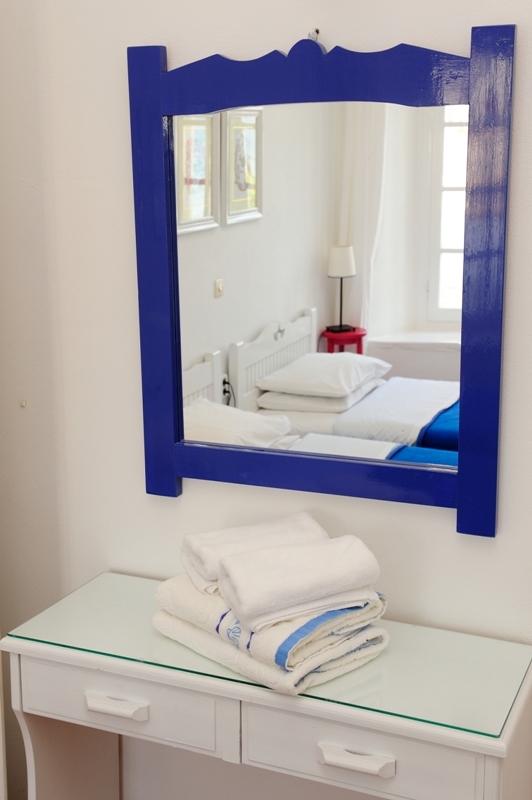 The prices for Apartment Two range from EUR 45.00 per night for two guests in low season to EUR 85.00 per night for three guests in high season.